Given the relative lull of releases in the arena of journals/periodicals/readers focused on graphic design and typography in the past few years, we’ve been intrigued by the recent announcement of Bricks from the Kiln and ultimately curious to check out the iterations of editors Andrew Lister and Matthew Stuart’s approach to assembling varied content (where, as the editors elaborate on below, a body of collected content is analogous to a collection of bricks—each “a piece of a larger structure,” each “a part of a sum”—that are fitted together in the process of editing and designing). 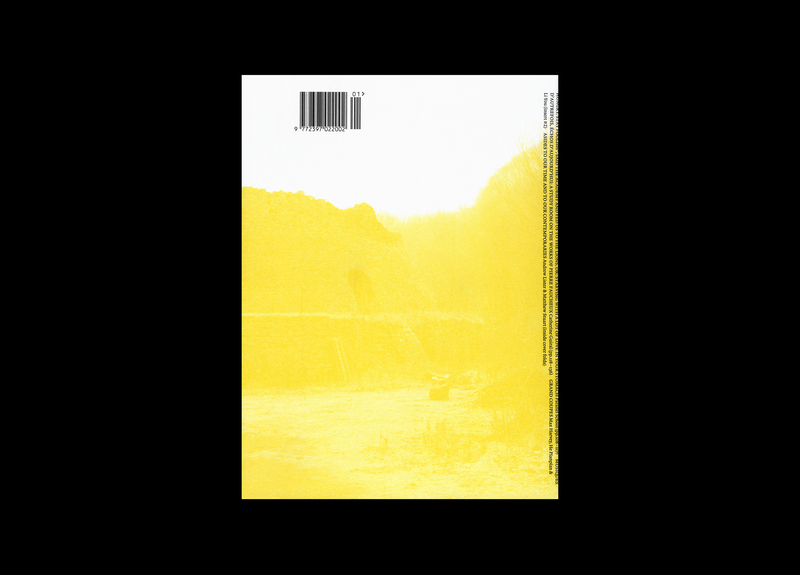 This debut issue of Bricks from the Kiln features contributions from Ron Hunt, Natalie Ferris, Ralph Rumney, James Langdon, Mark Owens, Jamie Sutcliffe, Iain Sinclair, Traven T. Croves, Parallel School, Catherine Guiral, and Max Harvey, He Pianpian, & Li You. For those of you in London, Bricks from the Kiln is set to launch at Tenderbooks on Thursday, February 4th. There will also be an exhibition of material relating to, and stemming from Bricks from the Kiln #1 on display at Tenderbooks until Saturday, February 13th. 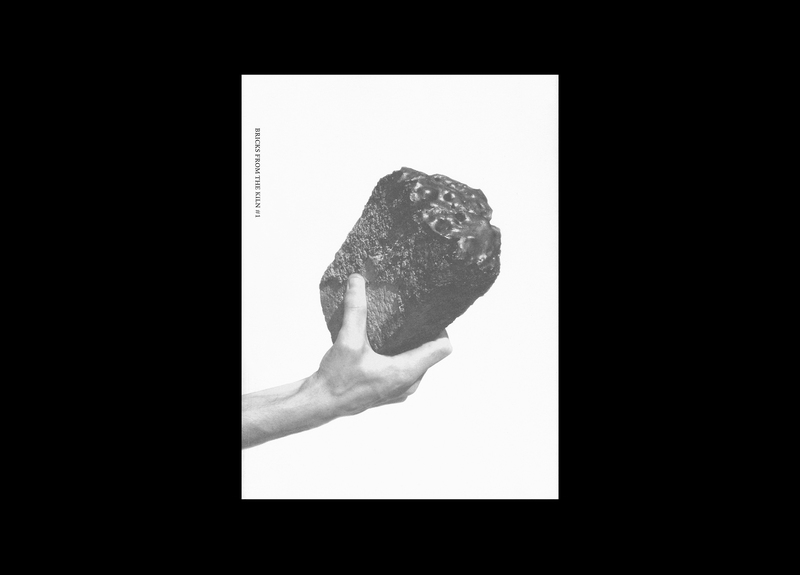 To help kick-off this debut issue and to shed some light on how Bricks from the Kiln came to be, Andrew and Matthew have shared with us their insightful Afterword. For us, ‘Bricks from the Kiln’ implies something in flux and liable to crack. A piece of a larger structure. A part of a sum. Fittingly, many of the bricks included here stem from larger bodies of work and ongoing research. Some are chapters lifted from forthcoming books, or investigations begun but forced aside. Others are unrecorded talks, or previously unpublished autonomous editions in their own right. 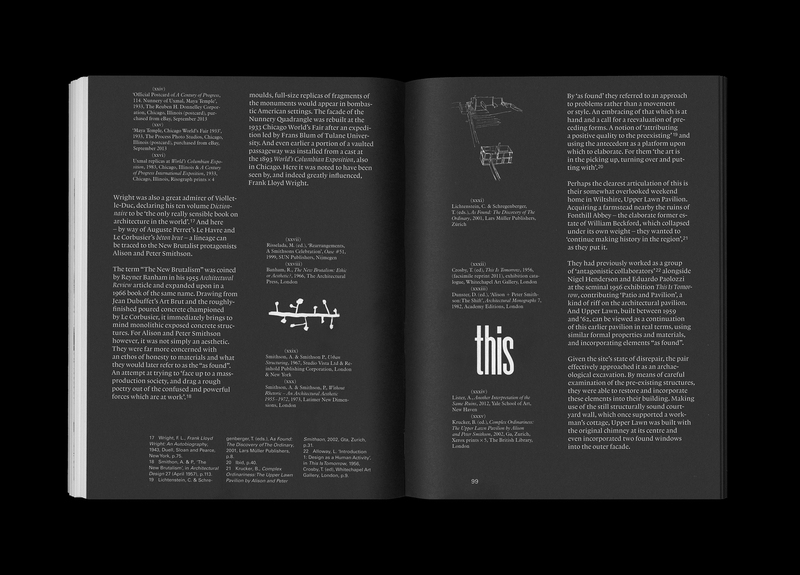 In preparing BFTK#1 we were keen not to arbitrarily hang the issue on an overarching theme before the fact, but rather to adopt a more responsive approach, allowing connections to develop organically through both the editorial and design processes. In particular, the conversation with Ron Hunt that opens the issue, has begun to shape much of our thinking, and here a number of threads and recurring characters begin to emerge. Guy Debord and the Situationist International loom large. Explicitly in Ron Hunt’s lapsed anarchism (pp.1–20) and in Natalie Ferris’ essay on the ghostly presence of the artist Ralph Rumney (pp.21–34). And more tangentially in the rural psychogeography of Westering (pp.65–88), in vaporwave’s détourned ‘music optimized for abandoned malls’ (pp.45–55) and in ‘photographs of grand coupes and synthetic sweets’ captured on dérives around Beijing (insert #2). Ron also identifies a preoccupation with the peripheral and the overlooked, touching on the difficulties of recuperation. Again, this sentiment seems to run throughout these pages, peripheral characters and locales a constant presence. Marut, Rumney, Breakwell, Viollet-le-duc and Faucheux. Langcliffe, Hastings, Newcastle, Changsha, Dorset, Uxmal and Brno. A ‘necessary otherness’, as Iain Sinclair puts it. 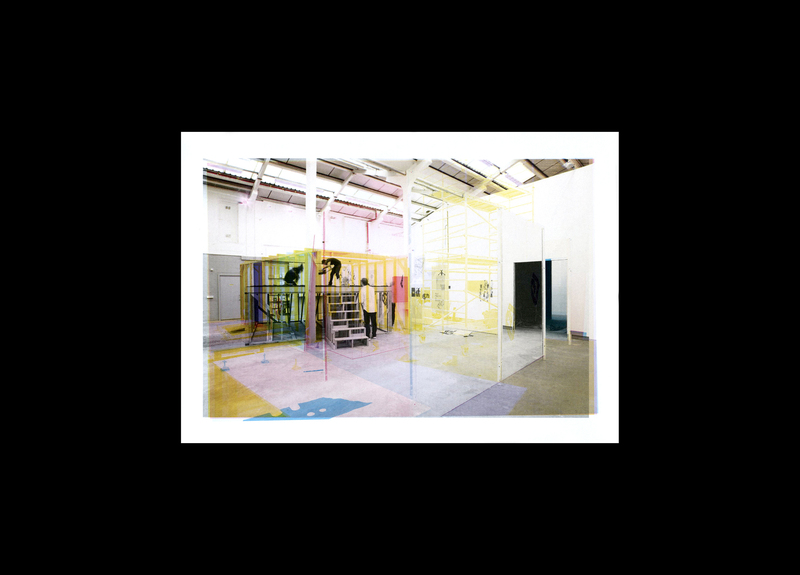 An interest in ‘the picking up, turning over, and putting with’5 is discussed in more physical terms in our own talk from the Brno Biennial (pp.89–136) and also extends to some of the structural considerations for the issue as a whole. An initial plan had, in fact, been to produce the issue a signature at a time, as and when money was available. ***** A production model not dissimilar to that adopted in Phil Baber’s first Cannon Magazine or Dieter Roth’s Copley Book: ‘a kind of visual diary squirted out during three years of spasmodic labor’.6 But as the inevitable financial holdups, printer bankruptcies and editorial concerns played out, this model seemed less and less appropriate to our needs. In this first collection of bricks we have thus attempted to maintain some of the ‘oddities’7 and specifics of original contexts, whilst still working within a cohesive structure. 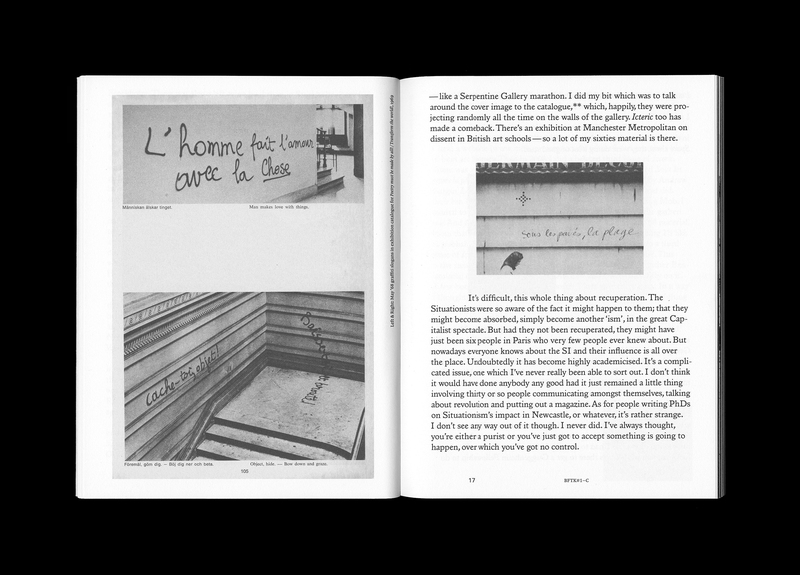 From Westering by Iain Sinclair, produced to exist as a standalone edition for publishers Test Centre, and to be bound into the issue as signatures I, J and K. To the decision to allow the formatting of footnotes and references to alter from piece to piece, in keeping with their original settings. Of course, there are precedents for this kind of exploration of the periodical format that have come before and greatly inform our approach. 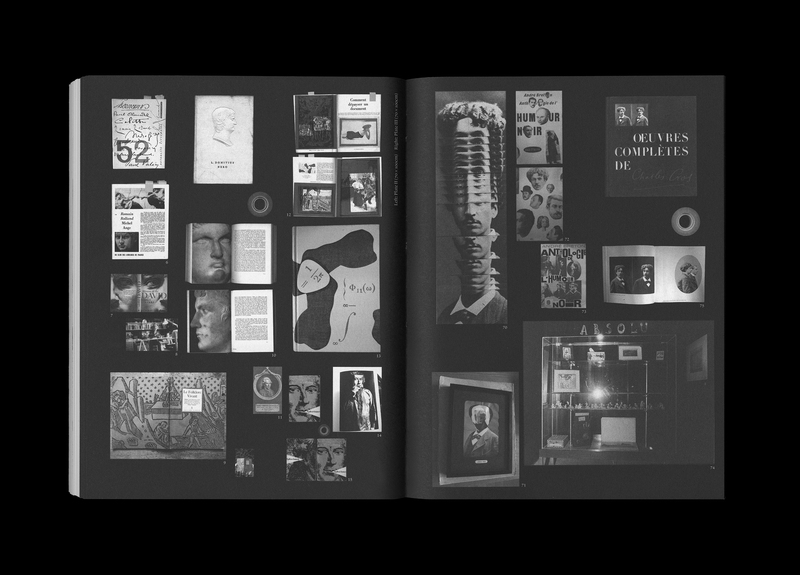 The likes of Typographica, Icteric, Dot Dot Dot, Dieter Roth’s Collected Works and Jacqueline De Jong’s Situationist Times being of particular note. Perhaps the strongest affinity for us, though, is with Theo Crosby’s Uppercase, which ran for five issues between 1958 and 1960. Crosby was facilitator-in-chief for a specific brand of post-war British design and architecture, initiating the hugely influential exhibition This Is Tomorrow in 1956 and later co-founding the design studio Pentagram. 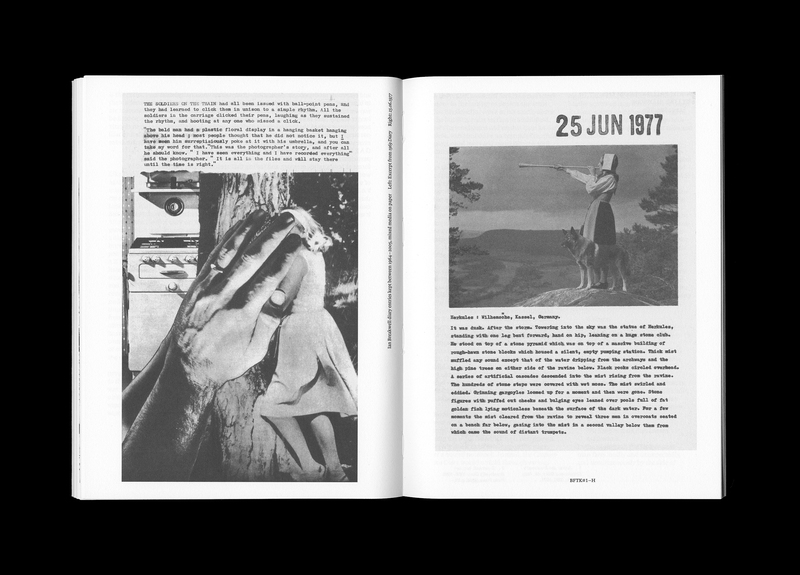 He published Uppercase whilst working as Technical Editor for Architectural Design under Monica Pidgeon, and would subsequently take the editorial reins of Living Arts: a ‘documentary magazine’8 published out of the ICA in London. 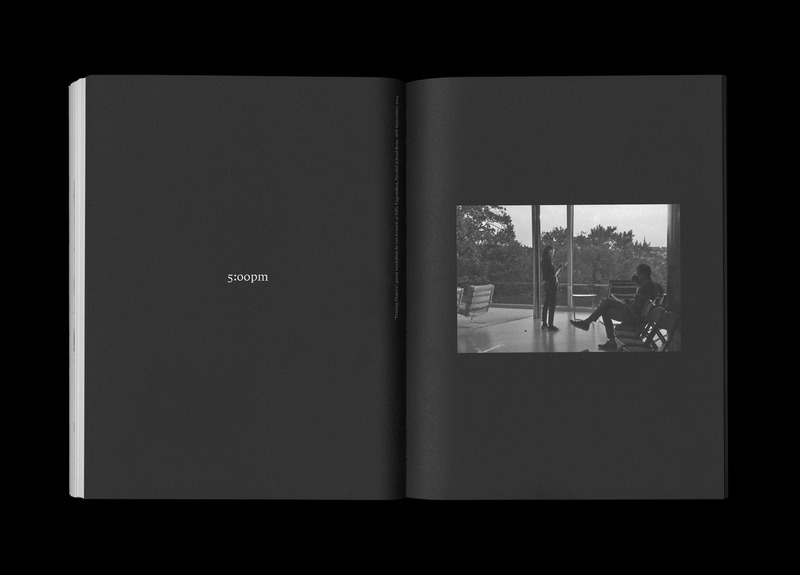 Despite its short lifespan and modest format (close to pocket size at 5.5″ x 7″), Uppercase intended to ‘deal with the whole field of visual communication’.9 Striking a balance between historical research and current work—and drawing connections between the two—it featured the work of Crosby’s own cast of recurring characters, including among others, Edward Wright, Richard Hamilton, William Turnbull, Eduardo Paolozzi, Kurt Schwitters, John McHale, Magda Cordell, Nigel Henderson and Alison & Peter Smithson. 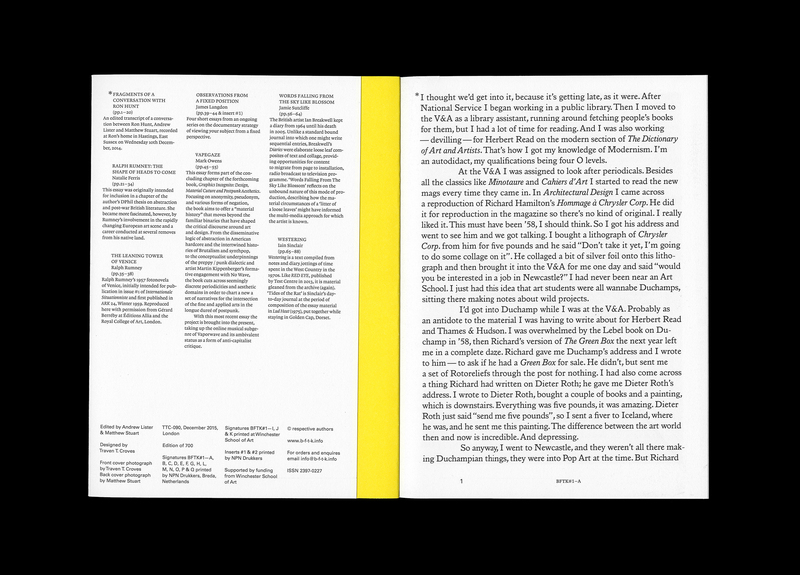 Each issue was, as Crosby put it, ‘an experiment in type within the same overall format’, an attempt at translating ‘a mass of material from an artist’10 into the specifics of print production. 1. Wyatt, W., ‘Introduction’, in Marut, R., To the Honorable Miss S… and other stories by Ret Marut a/k/a B. Traven, 1981, Cienfuegos Press, Orkney, p.viii. 3. Carr, G., ‘Lion’s heads—or just bricks and tiles? On satirical motifs and chance’, in Rasche, H. & Schönfeld, C. (eds. ), Denkbilder: Festschrift für Eoin Bourke, 2004, Königshausen & Neumann, Würzburg, p.188. 4. 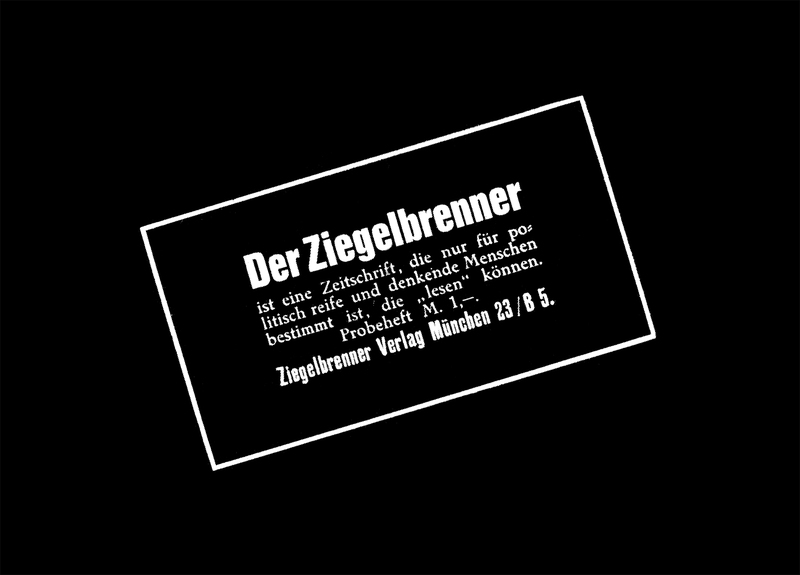 Marut, R., Der Ziegelbrenner, Heft 2, 1 December 1917, cover, in Marut, R. / Traven, B., Der Ziegelbrenner, facsimile, 1976, Verlag Klaus Guhl, Berlin, p.23. 5. Lichtenstein, C. & Schregenberger, T. (eds. 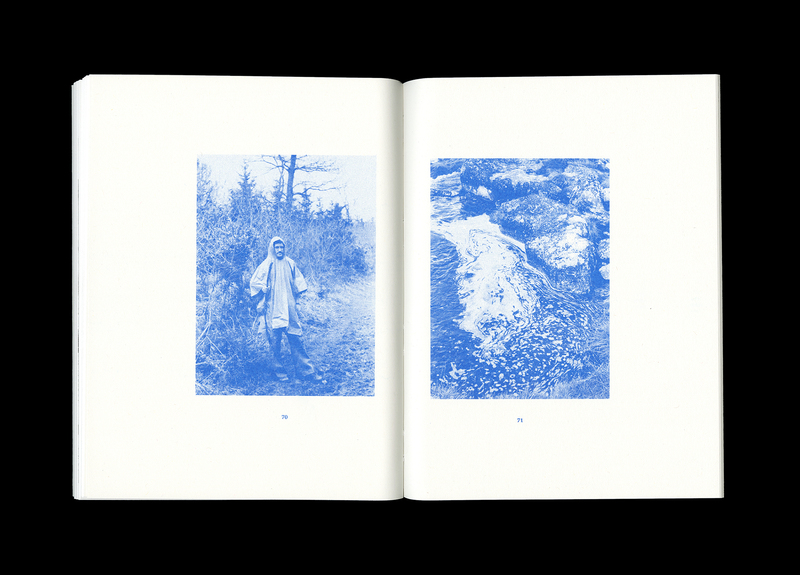 ), As Found: The Discovery of the Ordinary, 2001, Lars Müller Publishers, p.8. ***** The signature marks included at the bottom of the first page of each 8-page signature (eg. BFTK#1—A) are a remnant of this initial model. 6. Hamilton, R., ‘Introduction: Diter Rot’, in Roth, D., Copley Book, 1965, William and Norma Copley Foundation, Chicago. 7. This approach to typographic detailing and phrasing is particularly well exemplified in Richard Hamilton’s Collected Words, (Hamilton, R., Collected Words: 1953–1982, 1982, Thames and Hudson Ltd, London) of which there is a more in-depth discussion in our talk from the Brno Biennial (pp.100–102). 8. Crosby, T. & Bodley, J. (eds. ), Living Arts no.1, 1963, Institute of Contemporary Arts, London, p.1. 9. Crosby, T., ‘Introduction’, in Uppercase no.1, 1958, Whitefriars, London p.1. Bricks from the Kiln #1 will be released in early February 2016 and is available now for pre-order on the Bricks from the Kiln website: b-f-t-k.info.